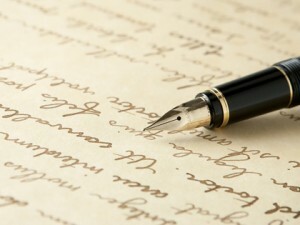 Since both passages appeal to the creation order, consistent treatment is needed. This means Complementarians should affirm that both practices and teachings are trans-cultural. Dr. Benjamin Merkle (Professor, Southeastern Baptist Theological Seminary) believes in complementarian roles and affirms the truths taught in 1 Timothy 2. However, he believes that head covering was a cultural practice that women do not need to implement today. His paper is a defense for why holding to these two positions is not inconsistent treatment. 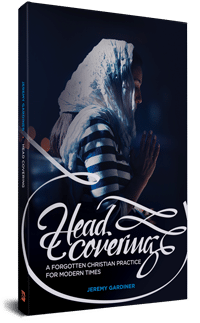 What is absolutely crucial in understanding the use of Paul’s arguments from creation in verses 8–9 is that he is not directly using these verses to make the case that head coverings are needed for women when they pray or prophesy. In other words, Paul does not say, “A woman must have her head covered when she prays or prophesies. For man does not come from the woman, but the woman from man and man was not created for the woman but the woman for the man.” Rather, Paul uses the creation account in Genesis to affirm his previous statement that “the woman is the glory of man.”…..Thus, it is misleading and inaccurate to claim that Paul uses an argument from creation to affirm the need for women to wear head coverings. Instead, Paul appeals to creation to demonstrate the differences between men and women that God established from the beginning—and violating these distinctions brings shame instead of glory. 1) Merkle, B. (2006). PAUL’S ARGUMENTS FROM CREATION IN 1 CORINTHIANS 11:8–9 AND 1 TIMOTHY 2:13–14: AN APPARENT INCONSISTENCY ANSWERED. Journal of the Evangelical Theological Society, 49(3), p.534. Paul appeals directly to the creation order to affirm the appropriate use of headcoverings, not just to affirm his statement that “woman is the glory of man”. There is no difference between how Paul argues from the creation order in 1 Timothy 2 and 1 Corinthians 11. So I’ll turn my attention now to defending these points. The reference to man being the “image and glory of God” points back to the pre-fall creation in Genesis 1-2. Why does Paul appeal to the creation order? To explain why “man ought not to cover his head”. Here we have a direct reference which ties the creation order to the practice of head covering. So how does Merkle explain this passage? He says “the focus is not so much that a head covering is in itself wrong, but on the disgrace or shame it brings” 2) Merkle, B. (2006). PAUL’S ARGUMENTS FROM CREATION IN 1 CORINTHIANS 11:8–9 AND 1 TIMOTHY 2:13–14: AN APPARENT INCONSISTENCY ANSWERED. Journal of the Evangelical Theological Society, 49(3), p.534. To argue that the focus is on the shame, not the fact that it’s prohibited, is not supported by the text. Paul says this is about why a man “ought not to cover his head”—that’s prohibition. For a man to do so is wrong in and of itself, in this context, and because of that it’s shameful when he does so. After Paul’s appeal to the creation order (v.7-9), he concludes in verse 10, “Therefore the woman ought to have a symbol of authority on her head”. The “symbol of authority” is a reference to the head covering and the “therefore” points us backward to everything that was said in verses 7-9. So that directly connects the creation order to why she “ought to have a symbol of authority on her head”. Greek Scholar Dr. Daniel Wallace (Professor of New Testament Studies, Dallas Theological Seminary) affirms this direct connection when he notes that “Paul begins the verse by pointing back to v 9 (διὰ τοῦτο in v 10, ‘for this reason,’ is inferential). Because ‘woman was created for the sake of man’ she ought to wear a symbol of authority on her head.” 3) Wallace, D. (2016). What is the Head Covering in 1 Cor 11:2-16 and Does it Apply to Us Today?. [online] Bible.org. 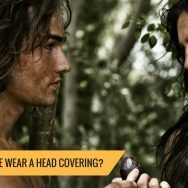 Available at: https://bible.org/article/what-head-covering-1-cor-112-16-and-does-it-apply-us-today [Accessed 9 Apr. 2016]. Dr. Wallace holds to the “meaningful symbol” view which is different than my position. So to summarize, in verse 7 Paul appealed to the pre-fall creation as a direct reason why men ought not to cover their heads when praying and prophesying. Later Paul points back to the fact that woman is the glory of man (v. 7), was created second (v. 8), and was made for man (v. 9) as the direct reason why she ought to cover her head (v. 10a). Thus it is inaccurate to claim that “Paul [does not use the] argument from creation to affirm the need for women to wear head coverings”. 4) Merkle, B. (2006). PAUL’S ARGUMENTS FROM CREATION IN 1 CORINTHIANS 11:8–9 AND 1 TIMOTHY 2:13–14: AN APPARENT INCONSISTENCY ANSWERED. Journal of the Evangelical Theological Society, 49(3), p.534. it is misleading and inaccurate to claim that Paul uses an argument from creation to affirm the need for women to wear head coverings. Instead, Paul appeals to creation to demonstrate the differences between men and women that God established from the beginning—and violating these distinctions brings shame instead of glory. By covering his head the man brings shame on Christ (since he is the image and glory of God) and by not covering her head the woman brings shame on man (since she is the glory of man). 5) Merkle, B. (2006). PAUL’S ARGUMENTS FROM CREATION IN 1 CORINTHIANS 11:8–9 AND 1 TIMOTHY 2:13–14: AN APPARENT INCONSISTENCY ANSWERED. Journal of the Evangelical Theological Society, 49(3), p.534. In 1 Timothy 2, Paul is giving instructions for the worship assembly (1 Tim 3:15). He states that it’s wrong for women to teach men the Scriptures and exercise authority over them in this context. I want to draw your attention to the fact that Paul is not speaking of continuity in specific form here either. The Christian assembly is a new covenant institution 7) Meaning the assembly gathering with it’s governance (1 Tim 3:1-13) and regulations for order (1 Cor 14) does not appear until the New Covenant is established after Jesus’ resurrection. and Genesis mentions nothing of teaching. So that means that only the principle has continuity which Paul applied in various situations. 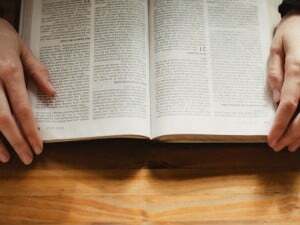 To show that teaching is not prohibited in-and-of itself, we have the example of Priscilla (a woman) who helped teach Apollos (a preacher) the word of God more accurately (Acts 18:26). Her teaching of a man was not against the creation order in that context 8) I am not trying to say women can teach and exercise authority in any context outside the church. What I am trying to say is women are not prohibited in every context. Women evangelizing, writing blogs, or books would be a few permissible ways she can teach men. . However, that same act would have been if it was during the worship assembly (1 Cor 14:34, 1 Tim 2:12). So a headcovering in the context of 1 Corinthians 11 is a new covenant symbol which visually depicts the creation order when men and women gather together to worship. The man reflects the glory of God & his submission to Christ by praying and prophesying with a bare head. The woman reflects the glory of man and her submission to the proper male authority in her life by praying and prophesying with her head covered. This is a silent testimony to the gathered church and the angels that we joyfully accept God’s design for biblical manhood and womanhood. Therefore it’s shameful when men and women disobey or disregard this Christian symbol as it visually communicates false things about God’s order (egalitarian roles). I am thankful that men like Dr. Merkle boldly affirm God’s design for biblical manhood and womanhood in the midst of a culture where it is despised. However, his treatment of head covering undermines his interpretation of 1 Timothy 2 since they are parallels. Christians must be consistent in their interpretation in order to preserve these glorious truths. It is my hope and prayer that more and more Complementarians will re-discover the beautiful new covenant symbolism of head covering. ↑ Merkle, B. (2006). PAUL’S ARGUMENTS FROM CREATION IN 1 CORINTHIANS 11:8–9 AND 1 TIMOTHY 2:13–14: AN APPARENT INCONSISTENCY ANSWERED. Journal of the Evangelical Theological Society, 49(3), p.534. ↑ Wallace, D. (2016). What is the Head Covering in 1 Cor 11:2-16 and Does it Apply to Us Today?. [online] Bible.org. 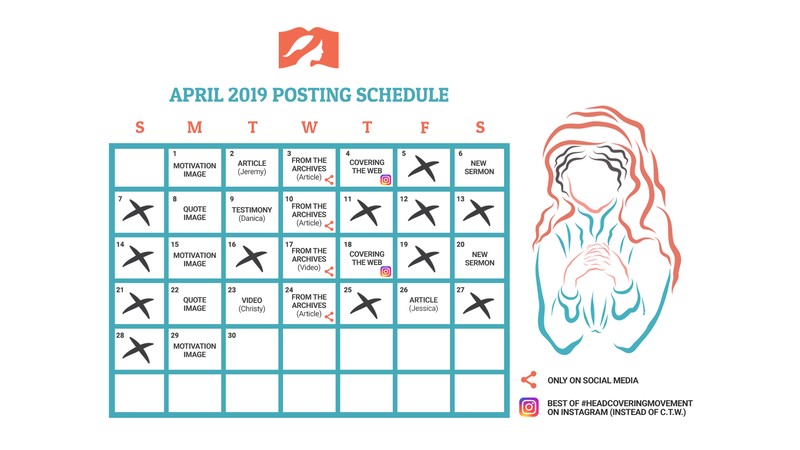 Available at: https://bible.org/article/what-head-covering-1-cor-112-16-and-does-it-apply-us-today [Accessed 9 Apr. 2016]. Dr. Wallace holds to the “meaningful symbol” view which is different than my position. ↑ Meaning the assembly gathering with it’s governance (1 Tim 3:1-13) and regulations for order (1 Cor 14) does not appear until the New Covenant is established after Jesus’ resurrection. ↑ I am not trying to say women can teach and exercise authority in any context outside the church. What I am trying to say is women are not prohibited in every context. Women evangelizing, writing blogs, or books would be a few permissible ways she can teach men.